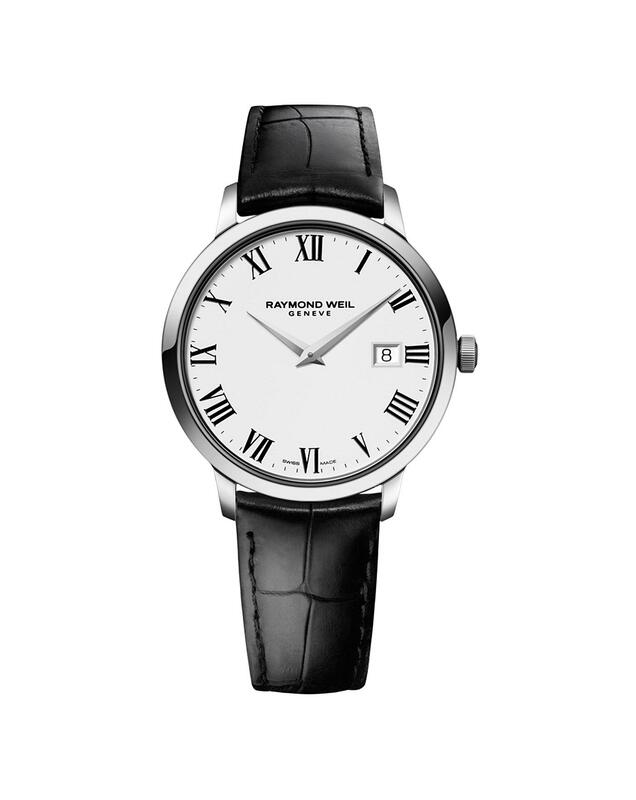 This Raymond Weil Toccata gents watch has a refined silhouette that will never go out of fashion. Fastened with a luxurious black leather strap, this masculine watch feature a stainless steel case. Polished bezel and a round face with sapphire crystal and crisp white dial. Traditional black Roman numeral hour markers, date window at 3 o'clock and quartz movement.